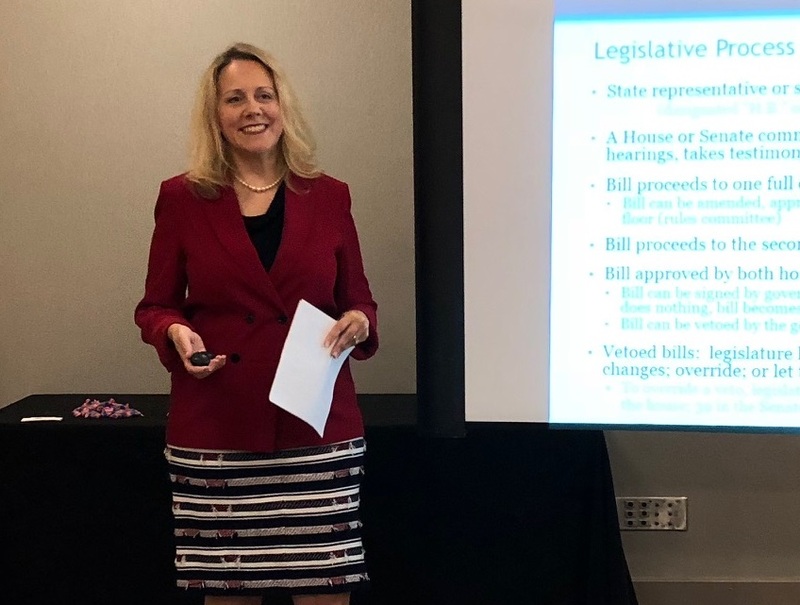 Representative Deanne Mazzochi (R-Elmhurst) spoke to students with Oak Brook’s 21st Century Institute on Wednesday about federal and state government, and how her role in the Illinois General Assembly helps shape public policy for Illinois’ 12.8 million residents. 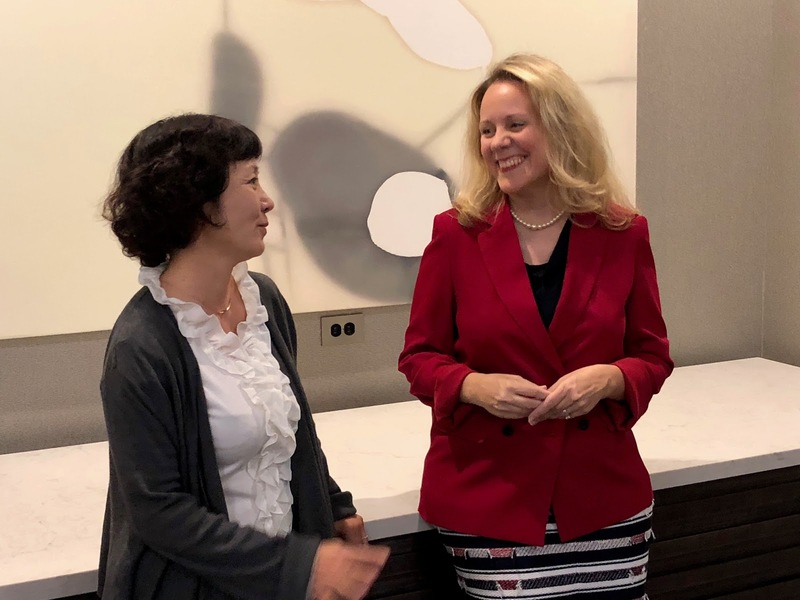 The 21st Century Club is an Oak Brook-based not-for-profit educational organization that promotes and encourages understanding, communication and cooperation between the United States and China. Members of the club and students in attendance included community and corporate leaders from various cultural fields, including stage performance, television, film, print news, broadcasting and publishing. The delegation was organized for the purpose of studying and learning from Americans who are leaders in their field and building connections for cooperation and cultural industry improvements. Responding to complex questions via an interpreter, Mazzochi spoke on a broad level about the interplay between federal, state and local government; jurisdictional questions; diversity of stakeholders; and why our systems were designed to place checks and balances on government power. With regard to state government, she explained how the geography of State Representative and Senator districts helps bring different interests and perspectives to policy discussions that affect the everyday lives of Illinoisans.